Smoke, following the slightest draft of air, trailed behind the guy with the hose. All I could smell was the Tuscan roasting going on; wild boar, pheasant, pigeons, and sausages, but that was only my olfactory sense, while my optical side, as always, was watching for something that could be made from nothing. 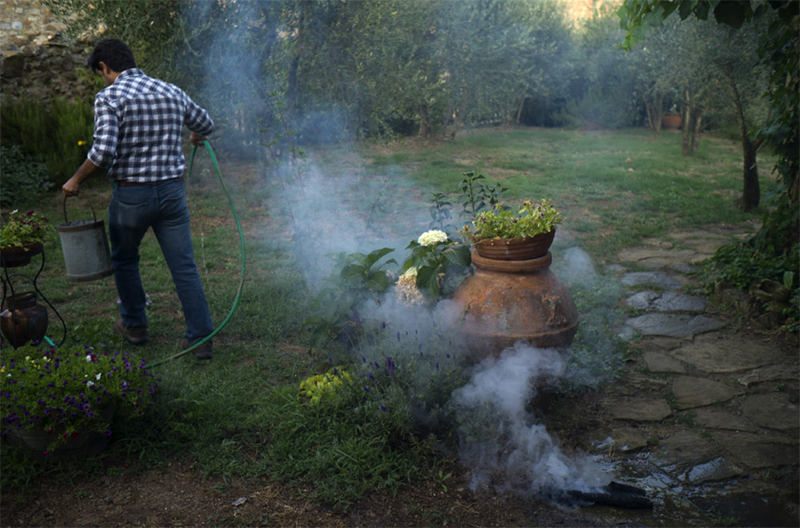 This entry was posted in Family Life, Tuscany and tagged Barbque, evening, Garden, Smoke on August 4, 2015 by joelmeyerowitz2014.